Louisiana-based workboat operator Alexis Marine has awarded a supply contract to Thordon Bearings for the retrofitting of 6in diameter RiverTough bearings to MV Kristin Alexis, the 60ft (18.2m) twin-screw towboat built by Bollinger Shipyard in 1969. Both the vessel’s shafts will be withdrawn at New Orleans yard Bayou Fabricators and Machine Works, where the original rubber bearings will be replaced with Thordon’s RiverTough tailshaft bearings. The polymer bearing manufacturer will also supply hard-wearing NiCrB sleeves to reduce the impact of operations in abrasive waters on the shafts. Mike Alexis, CEO and founder, Alexis Marine, said: “It is not our first experience with RiverTough; the bearings have provided trouble-free operation for our fleet of tow/push boats for several years. We have had a very good experience with all of the installations. 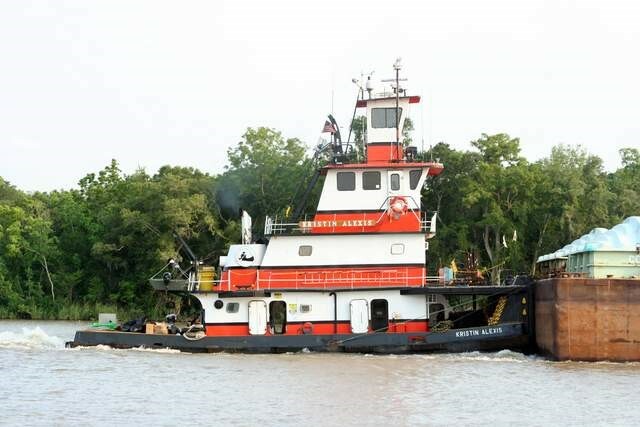 Alexis Marine operates its vessels as luggers on inland waterway, serving salt mines around Texas, Louisiana and the Yazoo-Mississippi delta.